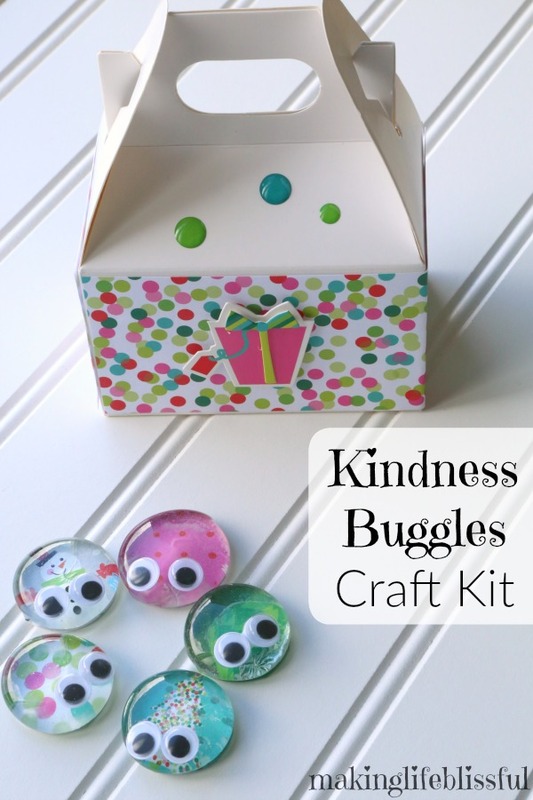 Introducing The Kindness Buggles Craft Kit! 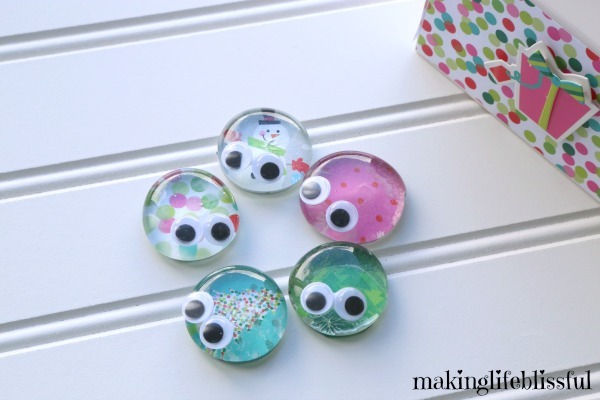 My ever-popular Buggles Crafts have evolved into a fun service-oriented activity for kids and families. 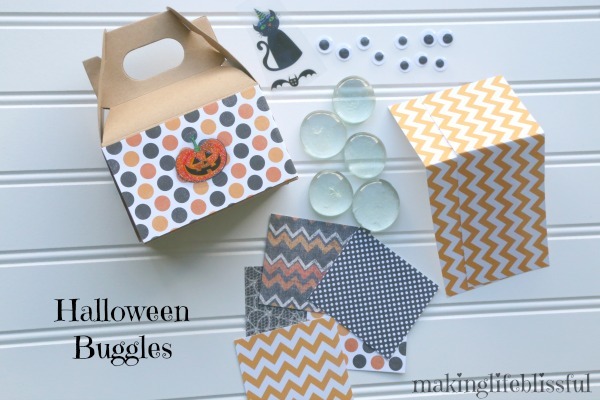 There is a Christmas Kindness Buggles Kit, a Thanksgiving Buggles Craft Kit and even Halloween Buggles! I’ve done all the hard work for you and put all the Buggles craft items into one easy kit. You get to do the fun part. 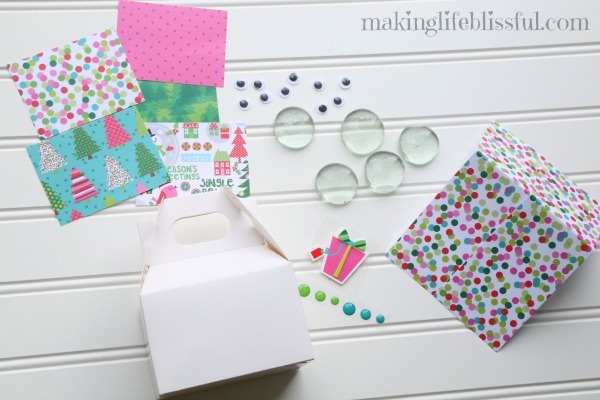 Create your own Kindness Buggles and decorate their home using the supplies in this adorable kit. Then use your Buggles to spread kindness and joy. Do an act of kindness for someone and leave a Buggle behind along with the note telling them they have been “bitten by a Kindness Buggle” and they should pass it on. Buggles are also fun to play with, trade with friends, and travel with. They all fit nicely in their little box home. I am so thankful for all the Buggles Craft fans out there! I truly appreciate the love and so I’m happy to expand the options for all of you. I wanted to make the fun little Buggles craft toy have more purpose and meaning. I wanted the kids to do something with them, besides create them and trade them. One of my biggest passions in life is teaching children and teens, and even myself to be kind to others. I truly feel that our world is so chaotic and could use a lot more love, patience, and kindness. So I created Kindness Buggles as a way for kids and tweens to looks for ways to help others by doing acts of service for their friends and loved ones. Then the hope is that the kindness will be passed on. It’s a fun way to talk about service and generosity. 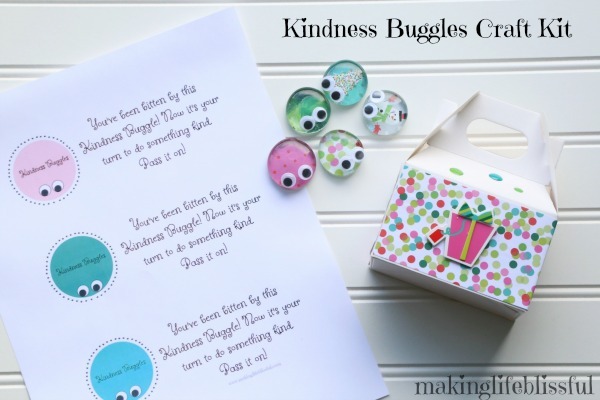 The Kindness Buggles are still fun for kids to make. 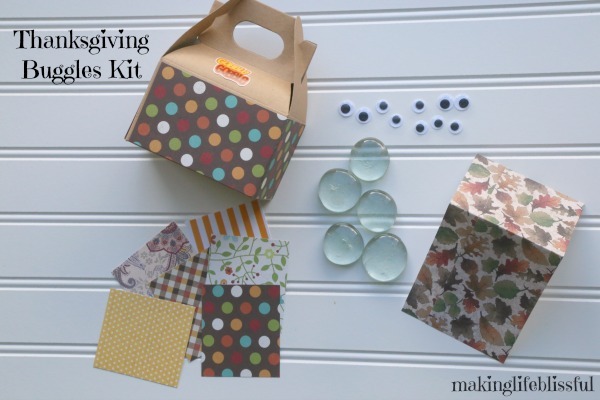 The kit comes with themed paper and they can name them and play with them. Then encourage acts of kindness by “biting” others with the kindness bug. 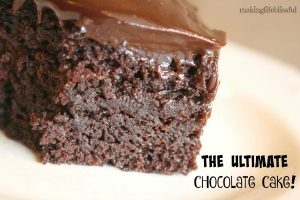 This a great family, school, or day camp activity. Look for my holiday Kindness Buggles including Halloween and Thanksgiving versions. 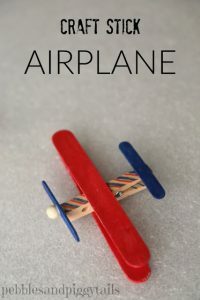 These make unique gifts for tweens and kids ages 7 and up. 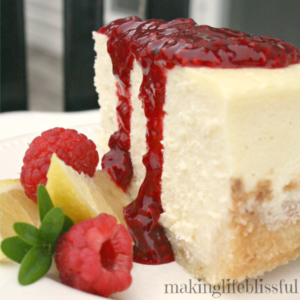 Subscribe to our mailing list for freebies, crafts, recipes, and blissful living! Check out the Kindness Buggles Craft Video! GLUE NOT INCLUDED. I recommend Elmer’s Extreme Glue for younger children. *And a portion of the proceeds from each Buggles Kit will be donated to help the recent hurricane and flood victims in Texas and Florida. Please let me know if you have any questions! I’m happy to answer them for you!